1.1 This website is provided to you without any warranties or guarantees unless specifically stated. 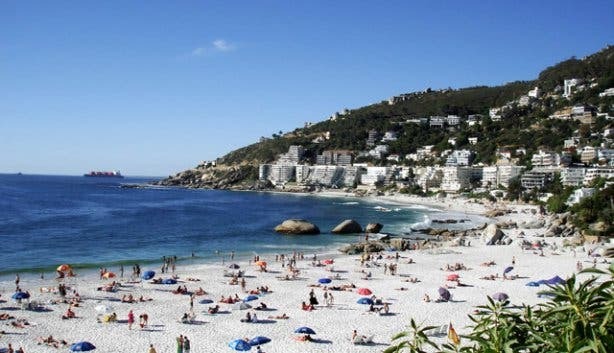 CapeTownMagazine.com cautions you that all the information contained in this website, including but not limited to details of attractions, events, hotels, tours and cruises, is intended for general information purposes only and although care is taken, information may contain errors or be incomplete or become outdated. 1.2 While CapeTownMagazine.com has made all reasonable efforts to ensure that the information on this website is correct at the time of inclusion, CapeTownMagazine.com shall not be liable to any person or entity for use or reliance of any inaccurate information or opinions contained herein. 1.3 Where reference is made to suppliers of services it is recommended that prospective users liaise directly with these operators to confirm any information that they seek to rely on. 1.4 Any such reference made by CapeTownMagazine.com to any company or other entity or to their services or product is not an endorsement nor should it be construed as such endorsement of the quality or fitness of purpose of that company or entity or its services or products. 1.5 To the best of our knowledge all information that is included in this Calendar of Events was correct at the time of publication. However, information is subject to change and CapeTownMagazine.com can under no circumstances accept liability for inaccurate information conveyed. 2.2 You shall not use this website for any illegal purposes and in particular agree that you shall not send, use, copy, post or allow any posting which is defamatory or obscene or which is abusive, indecent or in breach of the privacy of any person or any statutory legislation. 2.3 You agree not to send any unsolicited promotional or advertising material, spam or similar materials or any volume messages that may interfere with the operation of this website or with the enjoyment of this website by other visitors. 2.5 You acknowledge that absolute security of this site, or transactions performed on it, is not possible. CapeTownMagazine.com has the right to take whatever action it considers appropriate to preserve the security of this site or transactions performed on it. CapeTownMagazine.com is entitled to suspend your access to this site without notice to you. 3.1 Please be aware that the content of this site is the property of CapeTownMagazine.com and is protected by South African and international copyright laws. All copyright trademarks (registered, pending or unregistered), business names and other intellectual property rights used as part of this website are vested in CapeTownMagazine.com and /or its licensors. 3.3 You are permitted to print out or download information and content from this website for your own personal, non-commercial use. You may not offer for sale or sell or distribute over any medium, any part of this website or its content. You may not make any part of the website available as part of another website, whether by hyperlink framing on the Internet or otherwise unless you have been authorised to do so in writing by CapeTownMagazine.com. 3.4 If you do use the content of this site for unauthorised purposes, or if you use any other intellectual property belonging to CapeTownMagazine.com and its licensors you will be liable to CapeTownMagazine.com for any damages it may suffer (which you acknowledge it may suffer) and you may also be liable to criminal prosecution. You indemnify CapeTownMagazine.com for every single consequence flowing from your unauthorised use of the content of this site and your use of CapeTownMagazine.com's other intellectual property. 4.2 You give CapeTownMagazine.com the right to perform statistical analyses of the personal data provided by you and to use or allow other parties to use such data for research. No personally identifiable information will be wilfully disclosed. 5.1 While this website may provide links to other websites, CapeTownMagazine.com has no control over such sites. Links are provided for convenience only and no endorsement of any party, products or services is expressed or implied. 5.2 CapeTownMagazine.com accepts no liability for the accuracy or otherwise of any content or security of any activity carried out on other such sites. Your use of such sites is at your sole risk. 6.1 CapeTownMagazine.com does not accept any liability to you or as required by law whether in contract or delict arising out of or in connection with this website. You accept all responsibility and risk for the use of this website and its contents. 7.1 This website is operated by CapeTownMagazine.com from its offices within the Republic of South Africa. It can be accessed from all countries around the world where the local technology permits. 8.1 CapeTownMagazine.com has invested and will continue to invest in the best quality security available to guard access to information, data quality and physical security of servers where information is stored. This site has security measures in place to protect against the loss, misuse and alteration of the information under the CapeTownMagazine.com 's control. Despite these efforts, CapeTownMagazine.com cannot guarantee that a hacker will not obtain access to communications between you and the site. 9.4 CapeTownMagazine.com's failure to exercise or enforce any right or provision hereof shall not constitute a waiver of such right or provision.